• To learn using one-dimensional arrays. • To learn how to write and use properties to access values saved in the private fields of an object. In addition, exercise more with strings and also learn to use a ListBox for display of results. Keep the presentation of data (interaction with the user, input/output) from the logic behind data processing. 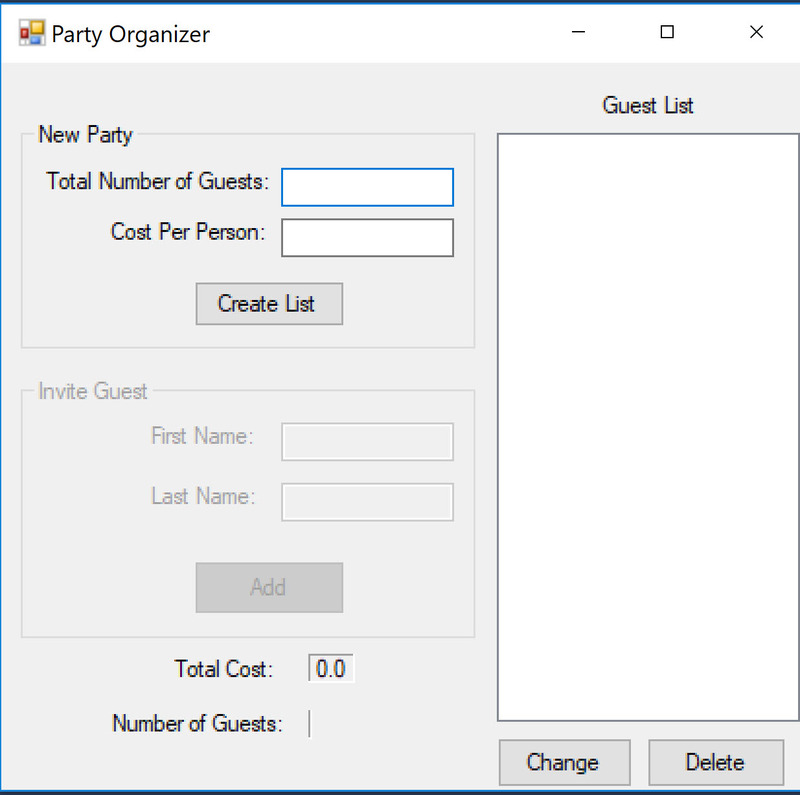 Apu (a user) is often asked to manage and organize parties. 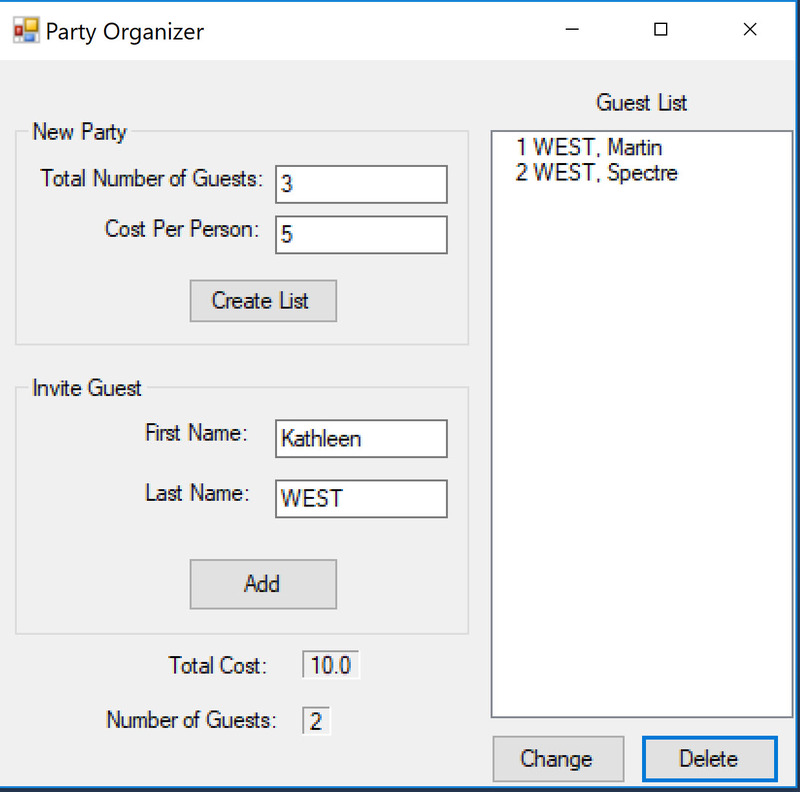 He would like to have a simple application that lists the names of the people to be invited to a party and also get an idea of the total cost based on an estimated cost per guest. 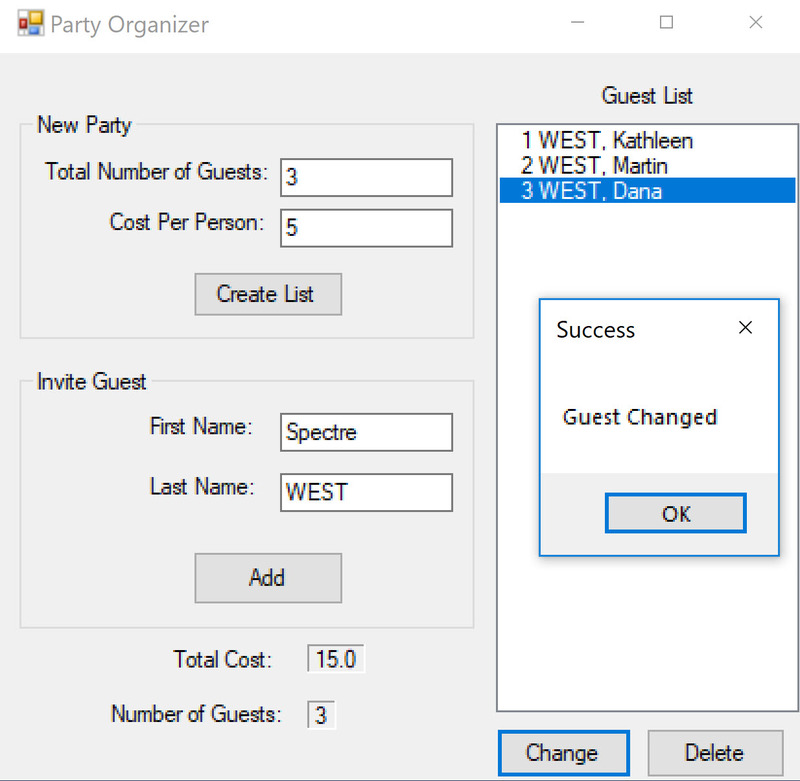 We use a form object (MainForm) for the GUI and a class Party to contain the logic pertaining to party arrangements. 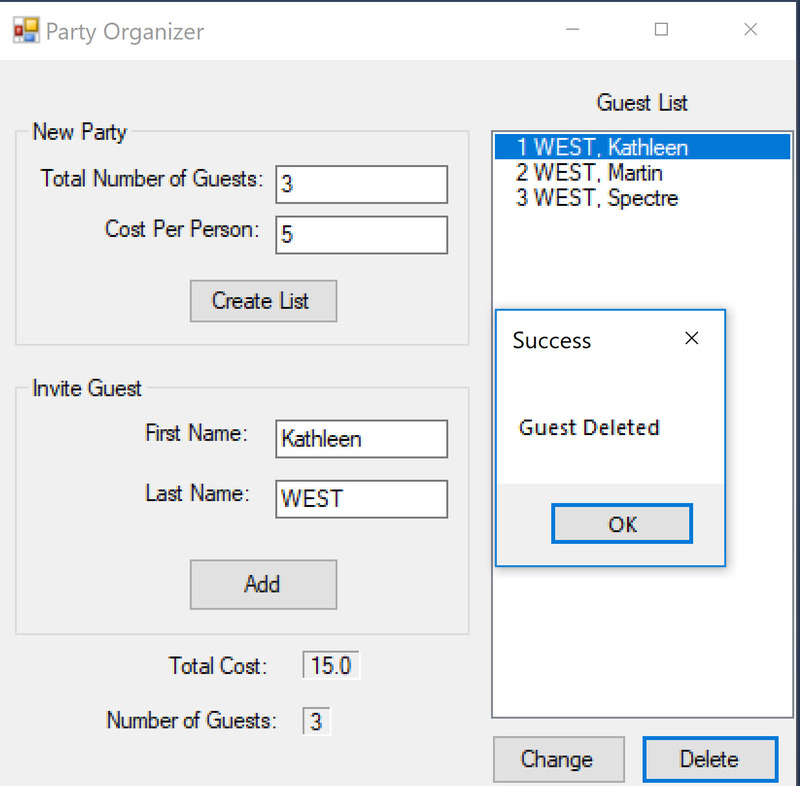 For saving the names of the guests, use a one-dimensional array of strings in the Party class. 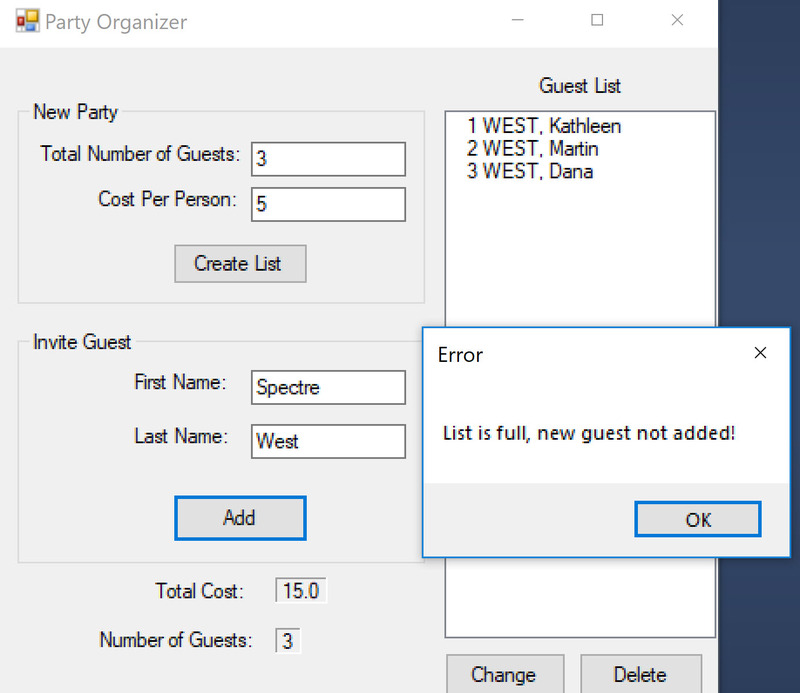 MainForm declares a variable of the Party class as its field. 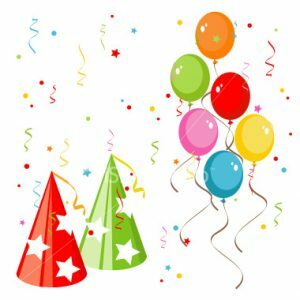 We refer to this object as a party (with a small p). 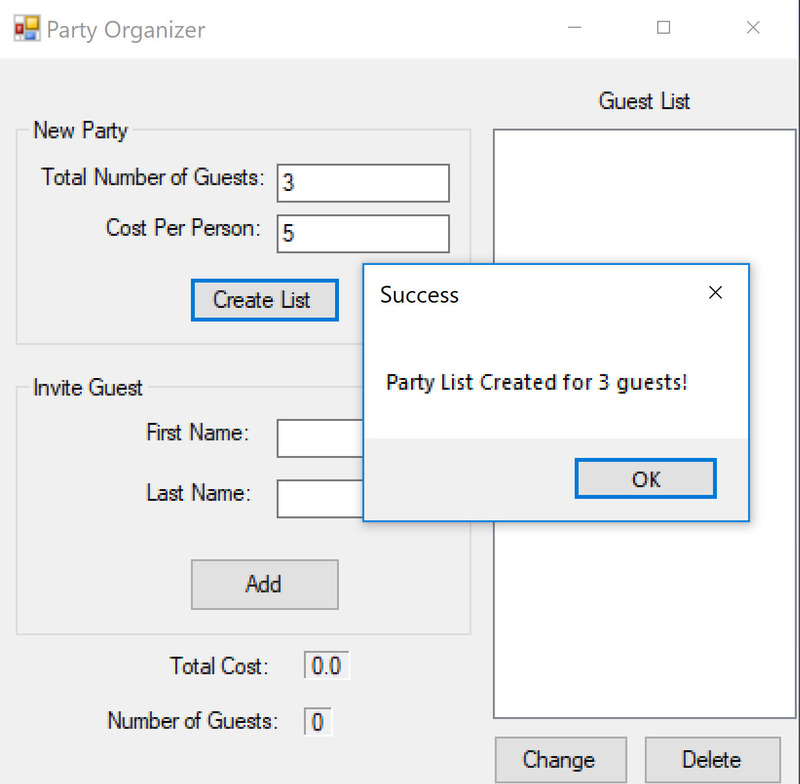 MainForm should handle all the interactions (input/output) between the user and the application, and it should not contain logic that is (or can be) a part of the Party class’ responsibility. 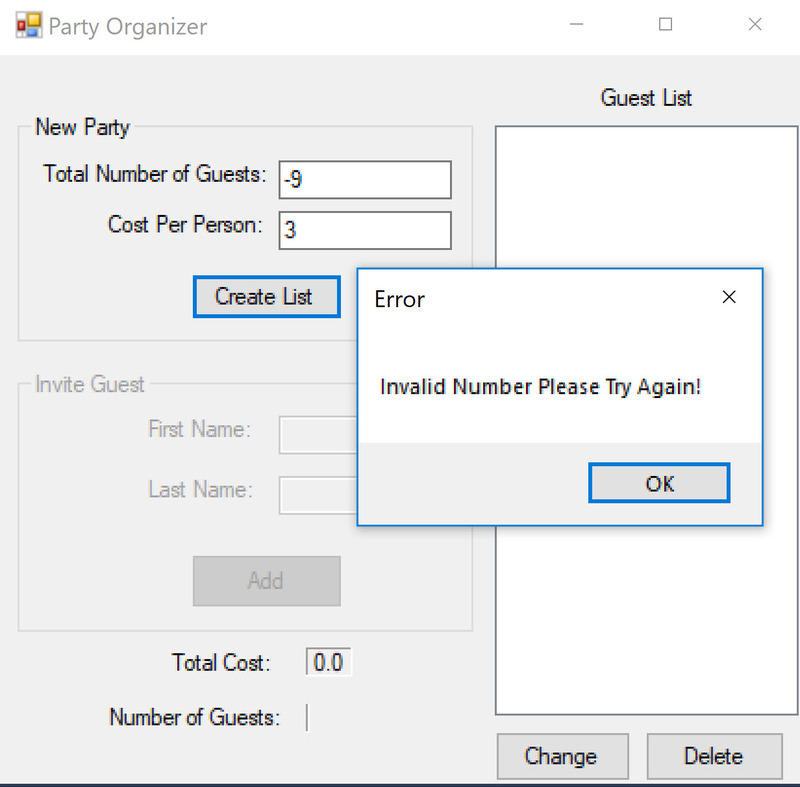 Every logic concerning the party, except processing of input and display of output, should be coded in the Party class.